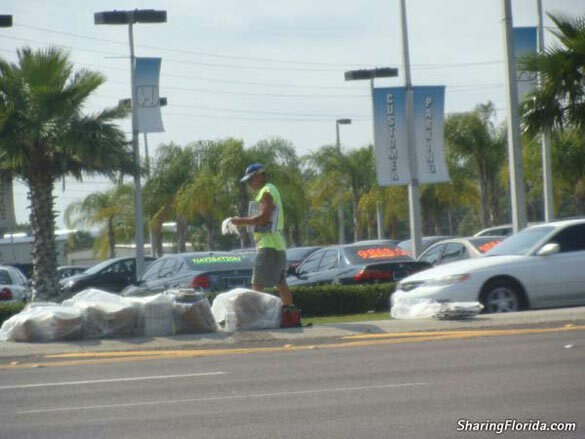 Photos of the newspaper vendors that are usually found at intersections selling papers to cars as they stop at red lights. These are photos from New Port Richey Florida. The vendors can often be heard saying: I got news for you!